My neighbor took the jell-o shot to a whole new level on the 4th of July. 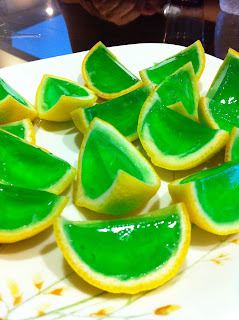 Chris's classier version of the jell-o shot from Pinterest. Once solid, slice and serve! Leave out the liquor and you can make these for kids too!